HomeTravel & LifestyleCultureIs there potential harm in the viral #10YearChallenge? By now, you’ve probably heard of it, if not encountered it yourself whilst scrolling on your daily dose of social media. Recent weeks, beginning at the start of the new year, have seen the rise of yet another viral trend taking social media by storm, particularly the likes of Facebook and Twitter: that of the #10YearChallenge. Indeed, so widespread has been its influence that A-List celebrities have joined in on the frenzy as well, and in retrospect, it’s not particularly hard to see why. 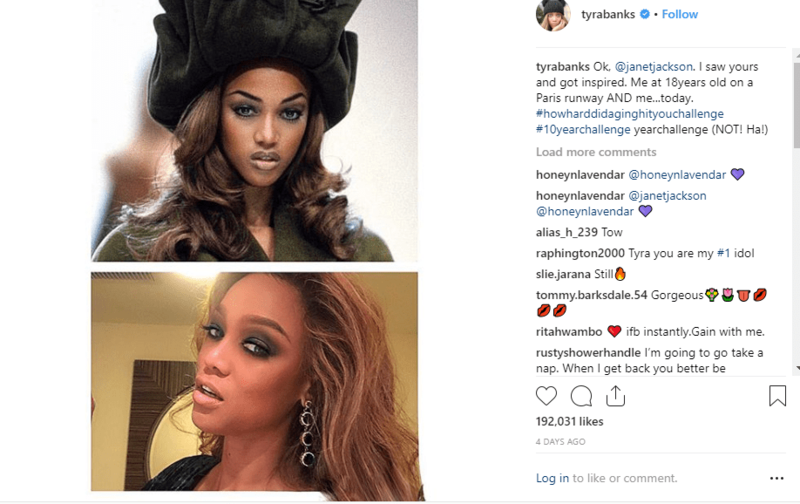 The premise of the trend is simple: one merely posts two side-by-side photos of his or herself — one from ten years ago, and one of recent times. The sole purpose, so it seems as of now, is to examine and compare the differences that ten years does to a person — good or bad. The trend, for many, has served as a socially acceptable excuse to post photos as proof of their “glow-ups” — which, if you’re not in the know, is 2019-speak for the dramatic transformation one goes through towards attractiveness. The 2019 version of the ugly-duckling-into-a-swan transformation, if you will. And like all self-fueled trends in the social media sphere, multitudes have taken part in the seemingly harmless, innocuous meme — after all, narcissism has never been lost in today’s age of Instagram likes and Facebook posts, and any fun, innocent excuse to boast about one’s metamorphosis from ten years past is taken advantage of. Which isn’t anything particularly wrong, in itself. Posting about oneself is, after all, one of the main purposes of social media sites, particularly visually-centric ones such as Instagram or Facebook, and thinkpiece after thinkpiece has been written on today’s self-obsessed, narcissistic, entitled teens courtesy of social media’s influence. In the tweet, since expanded in an article on Wired, technology writer Kate O’Neill ventured the possibility that the meme could have been spurred for something much darker than its seemingly lighthearted facade. And what is that darker underside? Facebook’s image-recognition algorithm, according to O’Neill’s suggestion. That is, photos that users post of their ten-year comparisons could potentially be used to train Facebook’s facial-recognition algorithm to recognize age progression in human beings. She further explained that users posting neatly-labeled and tagged descriptions — in this case, the #10YearChalenge hashtag — on what a ten-year difference looked like on human beings could definitely make things easier for Facebook to recognize. The thought is definitely far from far-fetched, particularly with Facebook’s widely-publicized data breach scandal concerning Cambridge Analytica still fresh in our collective memory. More than anything, perhaps, the scandal provided a much-needed wake-up call to the many users of Facebook — which is almost everyone on the Internet — on how data about themselves can literally be used against them. Facebook has since denied any association with the viral meme, but still, the thought remains a necessary warning to many of us. Since its inception fifteen years ago, the social media site has become a pervasive entity in everyday life, and for many has become a venue for general expression — most of whom perhaps fail to think twice before posting. And perhaps this is all that it really boils down to: thinking twice, or thrice, or more before posting anything on social media. Although the #10YearChallenge is probably, most likely, nothing more than a fun and harmless trend with no ulterior motive than to provide an online venue for vanity, the fact still remains that Facebook has used its users’ data in the past, and will likely do so again, for whatever purpose. And if it isn’t Facebook, it’s any other portal, medium, or social media site we give information about ourselves to. Let’s face it: this information really isn’t anything new, and the dangers of social media has long since been a point of warning since its very inception. But with the utter commonness of social media, and the presence of a complete, working society on the online realm, it is perhaps time we be reminded again: the technology-entrenched future may truly be here, but it must always be shaped and controlled by us — humans.